Inbound marketing is all about clearly delivering the right message to the right people at the right time (when they want to hear it). This attracts self-qualifying sales leads, which increases the number of leads you’re able to convert into customers, and reduces your cost per sales lead. Sound interesting? Read on . . . Your prospects have become virtually immune to the countless advertisements that bombard them on a daily basis. Typically a prospect must be exposed to your message 7 to 9 times before they even start to remember it. So, getting your message to stick does not happen based upon one action, taken one time; but rather through a series of carefully coordinated steps, taken regularly. This campaign approach is both an art and a science. Our campaigns offer a range of options empowering you to leverage content marketing, website sales funnels, SEO, social media, video production, and PR to generate sales leads, increase your market share, and build brand loyalty. Traditional, out-bound marketing has become much less effective and the cost per sales lead has increased dramatically. Today’s digital marketplace requires a more cost effective approach … in-bound marketing, which is a pull rather than a push strategy. It’s all about clearly delivering the right message to the right people at the right time (when they want to hear it). This attracts self-qualifying sales leads, which increases the number of leads you’re able to convert into customers, and reduces your sales effort. Effective marketing requires ongoing, agile strategy and planning tailored to your specific business goals, challenges, and market conditions. 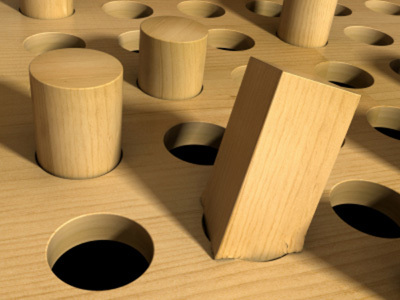 Many agencies offer pre-packed service plans that end up cramming a square peg in a round hole. Our solutions adapt to your changing needs and fit your business like a well-tailored suit. Every business is unique. We work closely with our clients to truly understand their business. Often many agencies learn just enough to win your business and get a project out the door. In fact by the time your marketing campaign is well underway, our team may know as much about your business as many of your own employees. Combining this understanding with our proven marketing processes and some of the most talented marketing people in Houston, our clients make money. With a complete range of services and experts that span strategic marketing, video marketing and Internet marketing we not only deliver great ideas and solutions but also implement those ideas with superior results. Let’s take a detailed look at this process. 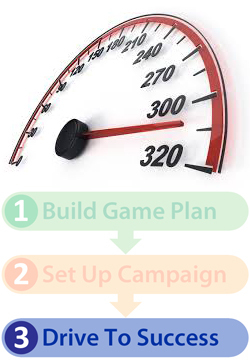 Why Do You Need a Marketing Game Plan? 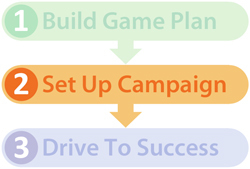 A Game Plan is the foundation for your entire marketing campaign. Consider it your roadmap for success. We’ll work with you to turn your business goals into marketing goals and clearly communicate your value proposition to your prospects. 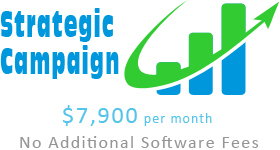 Then, we build a complete marketing strategy to attract, convert and nurture your prospects. So you can achieve your goals and grow your business. • What problem do your prospects need to solve? • What challenges do they face when trying to solve this problem? • What are the consequences if the problem is not solved? • What benefits do your prospects hope to realize when the problem is solved? • What is your solution to your prospects’ problem? • How is your solution different, or better, than your competition? • Three reasons to justify why your prospects should choose your solution over your competitors. Everyone will contribute to the conversation with a slightly different perspective, and when these ideas and diverse viewpoints are openly discussed in a collaborative spirit the synergy generates valuable results. Time and time again these consulting sessions have provided business-growing revelations for our clients. Marketing Team Houston utilizes this valuable information to craft your sales lead conversion strategy, and empower you to effectively connect with your target market. Your quarterly Game Plan is included in your Monthly Retainer services. 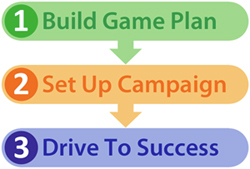 Implementing your Initial Game Plan and developing all the tools you need to successfully execute a powerful inbound marketing campaign. Every business is unique, and so are their Game Plans. Bringing your plan to reality requires efficient and effective execution. You’ll have some of the most talented marketing people in Houston driving the successful implementation of your Game Plan. Your implementation recommendations may include some of the following services to tailor your campaign to your specific needs. 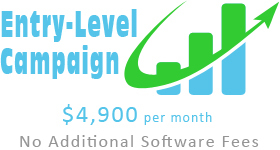 Pricing will be provided based upon the scope of your tailored solution. 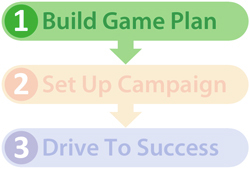 Your Game Plan is unique and so is its implementation. Pricing is provided based upon the scope of implementation services. Effective marketing requires agility. Many agencies offer pre-packed service plans that fail to adapt as your business goals adjust to the market. Our solutions adjust to your changing needs and fit your business like a well-tailored suit. 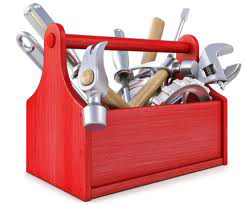 The examples in the next tab will provide insight into typical retainer scenarios and the value they provide. Every quarter we will collaborate with you to align your marketing campaign activities with your business goals for the upcoming quarter. This is how we keep our services responsive to your needs. The following examples will provide insight into typical retainer scenarios and the value they provide. Every quarter we will collaborate with you to align your marketing campaign activities with your business goals for the upcoming quarter. This is how we keep our services responsive to your needs. 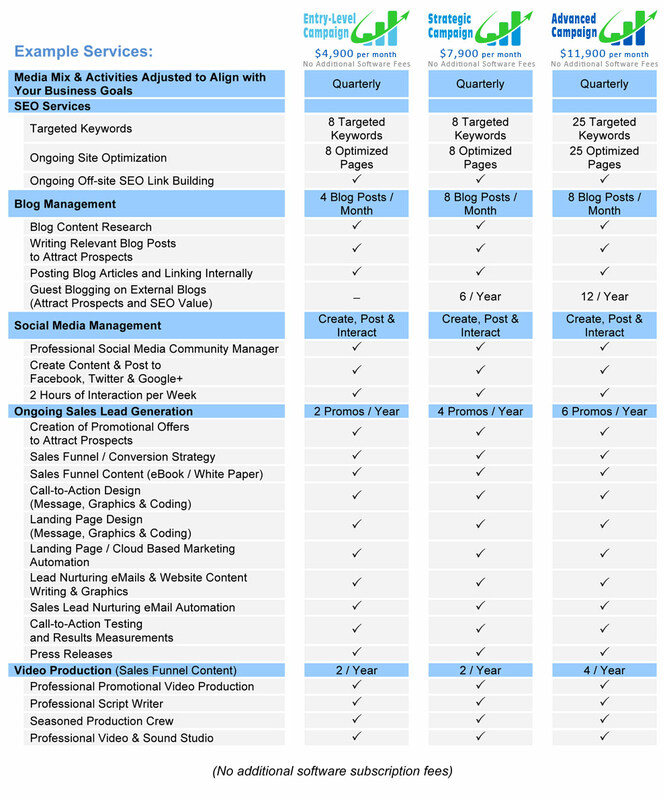 Businesses that require entry-level inbound marketing services. Business is looking to make the shift to inbound marketing for the first time. Clients at this level typically have 15 to 30 employees. They may have 1 to 3 salespeople in-house. Generating leads from their Website is just starting to become a priority. Finding enough hours in a day for content creation, keeping up with social media, blogging and running effective lead generation campaigns is a challenge for this type of client. We take those worries off their plate to make the transition into inbound marketing a positive and profitable experience. Businesses that need to take their marketing results to the next level. Business needs additional inbound marketing resources to achieve revenue goals. Clients at this level typically have 15 to 50 employees and an established in-house sales team. Website is not producing the desired volume or quality of sales leads. Marketing Team Houston will provide advanced inbound marketing services including: Website sales funnel lead generation, video production, professional social media community management, and cloud based marketing automation. Businesses ready to leverage the full benefits of Internet sales funnel strategies. Ready to take their marketing to the next level with advanced lead generation and conversion techniques. Business needs to attract high quality sales leads and shorten the sales cycle. Clients at this level typically have an established in-house sales team. Their focus is not just generating leads, but rather high quality / sales-ready leads … and a lot of them. Marketing Team Houston works with this type of client to leverage Website sales funnel strategies to attract self-qualifying prospects, convert them to sales leads, improve the sales close ratio and shorten the sales cycle. Our services are always customized based upon your needs. Every quarter we will collaborate with you to adjust your media mix and align your marketing campaign activities with your business goals for the upcoming quarter. This agile approach is how we keep our services responsive to your needs.